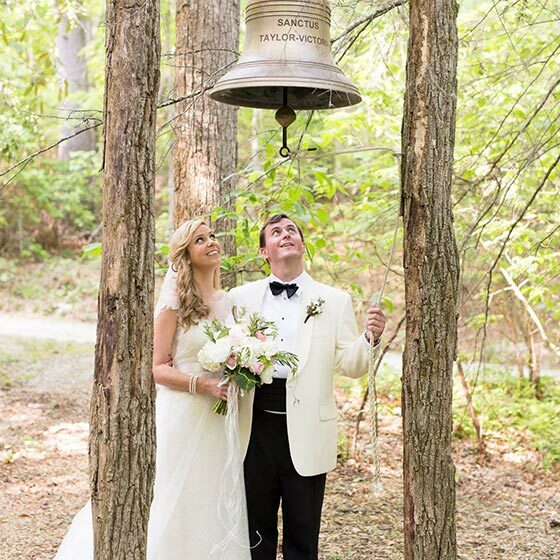 Your special day deserves the natural beauty and peaceful setting that have brought guests to Kanuga for more than 80 years. 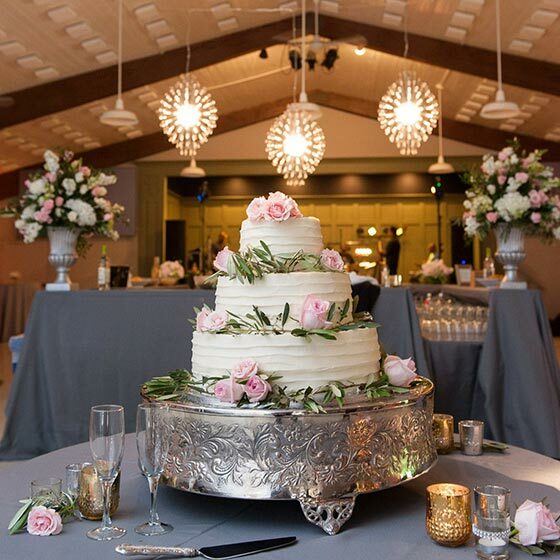 From intimate gatherings to large celebrations up to 300 guests, your wedding will receive personalized attention from our team of seasoned hospitality professionals to make it a day you will cherish forever. Your choice of a ceremony site includes our historic Chapel of the Transfiguration built in 1940 or three outdoor chapels—one along Kanuga Lake, one next to a stream and one on a quiet hilltop. There are also other scenic locations to consider, such as an open field, a mountain summit or by our organic garden. 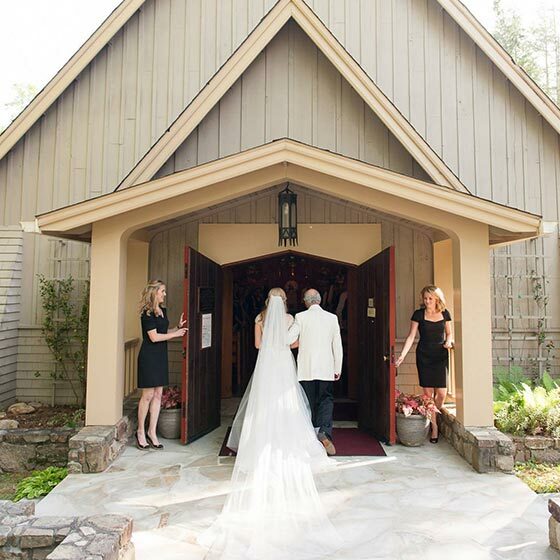 While Kanuga is open to all, certain stipulations exist to hold a ceremony in one of our chapels. You must receive permission to marry from the bishop of the Episcopal Diocese of Western North Carolina. Other ceremonies in nontraditional sites may be available, depending upon your needs. Please inquire during registration for details. 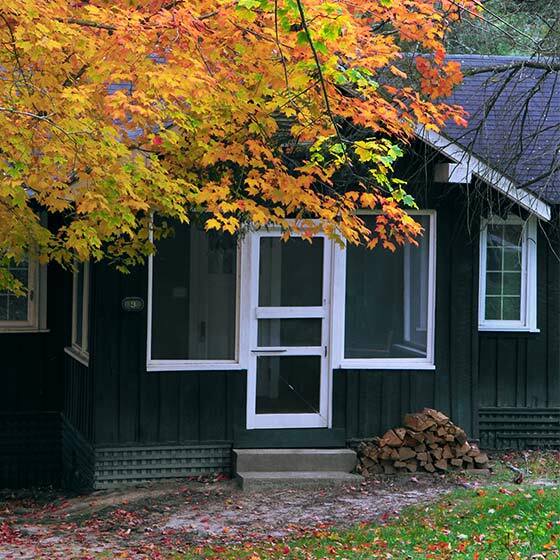 Kanuga offers three types of overnight accommodations: 43 Historic Cottages, six hillside Guest Houses and our 61-room Kanuga Lake Inn—fully renovated in 2016. Our culinary team caters to your individual tastes for both the rehearsal dinner and wedding reception. Meals at Kanuga are served buffet style. Outside caterers are not permitted for weddings. We invite you to have your cake and other sweets provided by an outside baker. Costs for food and beverage service vary. We can create an estimate based on the time of day of your event and the type food being served. As a general guideline, our lunch buffets begin at $16 per person and our dinner buffets begin at $20 per person. Menus can be as casual as you like, such as a mountain barbecue, or as fancy as you can imagine. Other options include butler-style hors d’oeuvres and a formal carving station. We can provide menus for your review and guideline estimates, but each group varies. Kanuga has full Alcohol Beverage Control (ABC) permits to serve wine, champagne, beer and mixed beverages by our certified bartenders (fees apply). Alcoholic beverage estimates depend on the type of beverages served and the length of your event. These arrangements are made through your Event & Guest Services representative. The facility fees listed below include the use of your chosen ceremony site for two days. On the first day, you will have use of your ceremony site for a rehearsal and space for a rehearsal dinner for up to two hours. On the second day, you will have use of the ceremony site and reception space for your wedding for up to six hours. The setup and breakdown of our tables, chairs, linens, cake table, guest book table and gift tables are also included in the total fee. Please note that there is an additional fee should you need assistance with decorating your chosen venue. This service is subject to staff availability at an hourly rate. Lodging allocation is based on availability at time of booking. Additional lodging options may become available within 30 days of your event should another group not fill their block. You are responsible for using 80% of the number of rooms reserved for your group. Should your attendees not utilize the rooms that were reserved, you are financially responsible for those unfilled rooms. *A two-night minimum is required for all weekends. You will be assigned an Event & Guest Services representative to assist you with the details of your event. They will help you coordinate what Kanuga is providing with what you are planning. We recommend that you hire a qualified wedding coordinator to help with guest housing needs, a schedule of events and your outside service providers such as equipment rental, clergy, decorators, photographer, band, DJ, pianist, florist, baker, etc. We do have relationships with many of these area vendors and can provide their contact information on request, should you elect to use Kanuga as your venue. We require an initial, nonrefundable deposit equal to the facility fee at the time of booking your space. 50% of your estimated bill—to include food, beverage and miscellaneous charges—will be due 30 days prior to your group’s arrival date. Seven days prior to your arrival date, we will need your final guest count and the remaining balance for your event. We will also require that you keep a credit card on file with us for any additional charges. *Please note: Sales tax of 6.75% is applicable to facility fees, lodging, food & beverage, and rental fees. Every wedding is unique and so is Kanuga. We are more than happy to set up a time to meet with you to discuss your particular needs and ideas. Availability is limited, so please call soon to reserve your date. You may contact us at 828-233-2732 or by email at info@kanuga.org for more information or to check availability. For best availability, we request your preferred date and two alternate dates. 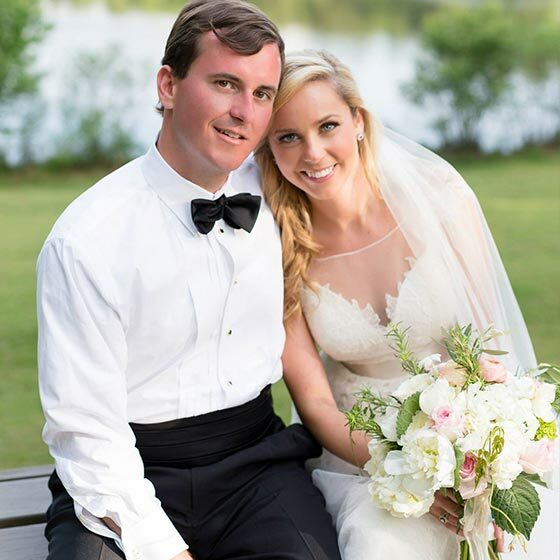 Whether you choose Kanuga or another location for your special day, we wish you much happiness on your wedding and for years to come.